Complimentary valet is available during dinner hours to assist our patrons with the limited nature of our parking lot. Double Zero is a modern Italian restaurant in the heart of Emory Village. The restaurant features an innovative menu focusing on fresh handmade pasta, unique small plates, large shareable dishes and wood-fired pizza. Chef Edwin Molina and team focus on fresh ingredients, creative techniques and modern twists on Italian classics. I loved my past experiences and cooking classes here! Did not like my mushroom pasta dish during this visit and I love mushrooms. Tfrijolito, Thank you for dining at Double Zero and for sharing the feedback on the mushroom pasta. We apologize that it did not meet your expectations. We hope we have the chance to welcome you back soon to earn back your trust! Fantastic food and service as always. The pork chop is one of the best I've had. My wife is pregnant and it was her birthday. The made mocktails for her that were off menu thatd make you give up booze. Mia was a phenomenal server. They even signed a birthday card for her. All around great experience. Thank you for dining with us at Double Zero DanielP! Thank you for sharing such a special occasion with us, and congratulations on the new addition to your family! This is a great place for a quiet dinner for two or a group. We were here as part of a work function and most people at the table were meeting for the first time. The small plate format encouraged sharing and a community feeling. Not to mention, the food is absolutely delicious and the wait staff is fantastic. FoodFan - thank you so much for taking the time to share this feedback. We enjoyed the opportunity to serve you and your colleagues and are so happy that the format of dining worked well to encourage an evening of conversation and getting to know one another. We hope we have the chance to serve you again in the near future! Took out of town friends on Sunday. Our meal and service were exemplary so we were telling a friend who dropped by on Monday. After a few minutes, she said, "let's go." We did and the meal and service for the second night in a row was great. We are not fond of Italian restaurants because we are not fans of tomato sauce but now we are converts. Double Zero is an excellent place to eat, superb food and waitstaff that know their stuff. They also serve local beers. What's not to like. Almo - thank you for choosing to bring your out of town guests to Double Zero! We enjoyed the opportunity to serve you and to showcase Atlanta to your visitors. We look forward to welcoming you back soon! Excellent service, environment and food! Highly recommend! Thank you for choosing Double Zero! Went here with my family, a party of 5. We got last minute reservations on a Saturday night and had a great time. Even though there were several large parties around us (looked like prom dinners so lots of teenagers), the staff seemed calm, warm, and professional. Food pacing was good, service was excellent, and the atmosphere was very nice. Looking forward to going back soon. Thank you for joining us JonathanC. We hope to see you again soon! 4 Courses in one hour...perfect timing off to the Theater...when in the Emory area make this your first stop. Thank you for this high praise KeithH! Really great food! Good wine list. My only complaint would be the service was a little disjointed and it took forever to get a glass of wine after ordering. But really not big issues as the place is great! 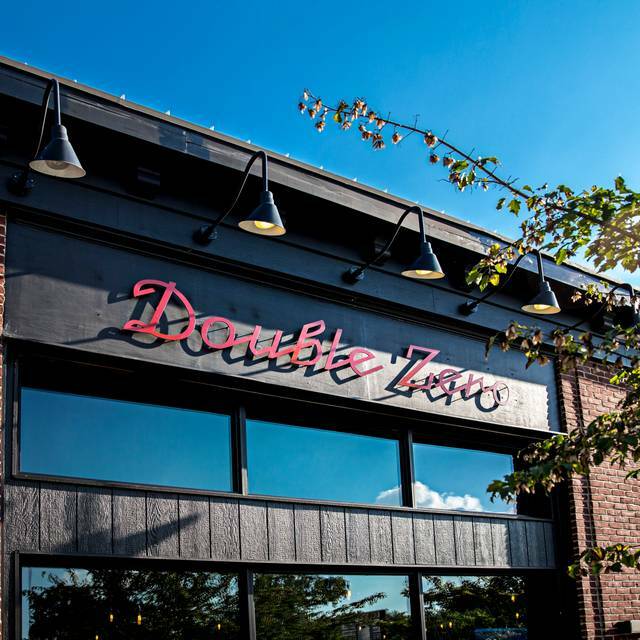 Thank you for dining with us at Double Zero! Food was delicious. Service was excellent. Thank you for a great impromptu date night. Thank you for sharing your date night with us OliviaV! Our server was incredible. Great recommendations, generous disposition. We thoroughly enjoyed our date night and will certainly be back and will recommend enthusiastically. Thank you! JoelynnM - thank you for the high praise! We loved sharing the evening with you and look forward to your next visit. Inventive menu, great food that's well prepared. Well balanced cocktails, PHENOMENAL service. Fairly expensive, but you can get out for a reasonable amount, especially with small plates. Big place, high ceilings, lots of hard surfaces, so there's a bit of ambient noise, but that's actually kind of OK as it insulates you from others' conversations. Laid back enough for families, cool enough for a date. GO! AnnM, Thank you for spending the evening with us at Double Zero! We enjoyed the opportunity to serve you and look forward to welcoming you again! Thank you for dining with us at Double Zero! We will be sure to pass along the high compliments to Maya! Very excellent service from my waitress hailey. it was my first time at the establishment and I will be back . I ended up ordering all recommendations that hailey suggested and left very satisfied . Thank you for the experience . Thank you TisusP! We enjoyed the opportunity to serve you and will pass this feedback along to Hailey! GDecatur - thank you for dining at Double Zero. We would love the opportunity to connect if you would be open to it. Your feedback is valuable to us and we strive to be better than a three-star experience. Please let me know if you would be open to chat briefly. Thank you! Thank you for dining with us Kiko! Excellent food, excellent service, excellent experience all around! Thank you for dining with us Grayson! We had dinner at Double Zero to celebrate our 30th anniversary. I was able to drop off a bottle of the type of champagne that we drank at our wedding, and they had it iced and ready to serve the minute we showed up. The restaurant team had signed a sweet card for us, and every single person who came by our table wished us a happy anniversary. They made our anniversary celebration especially memorable. Thank you for spending such a special evening with us! Good service, food not really worth the price. It was ok.
Anon, Thank you for dining with us at Double Zero. We are disappointed to hear that the experience did not live up to your expectations. Please let us know if you would be open to chatting briefly - we would love the opportunity to connect about your evening. Thank you! Double Zero is so underrated. I've never had a bad meal there. And it's nice without being stuffy or too pricey. By the way, there's a free valet behind the building. GinaH - thank you for sharing these kind words. We appreciate you taking a moment to write about Double Zero and we look forward to welcoming you back! Double Zero may be my favorite “go-to” restaurant! I can’t say enough positive things about the place. The service is professional, the space is beautiful and well designed (you can have a conversation), the food and drinks are amazing! Who knew...behind the long brick facade exterior there was such a special restaurant! Thank you IntownFoodie! It was our pleasure to serve you! The wait-staff was on point. Everyone who stopped by was very pleasant, had terrific personality and was genuinely interested in serving us. The food and cocktails were dangerously delicious. We'll be going back again and again! Thank you for dining at Double Zero SLTaylor! Service was slow and server wasn’t attentive to table. Silverware wasn’t swapped out between courses, no serving utensils, and plates weren’t cleaned off table between courses. Food was excellent and there was a good ambiance. Quick seating, although the hostesses had asked for a seating preference (high top), they walked us to a low top and didn’t say anything about it. That was kore humorous than anything (figured the holiday had them off a bit). Our waiter was great. The people who served enjoyed bringing our first course of the pre-fix menu to the tables next to us. The one table recognized mine as not theirs and handed it over. The other table enjoyed my husband’s. Our waiter walked by shortly after and noticed right away, communicated with us on the spot, and went to alert the chef for us. Again, more humorous than anything (because they likely had holiday staff and our waiter was so on top of it). Everything else went fine. Food was good despite the large number of the Valentine’s Day patrons. Thank you for spending Valentine's Day with us at Double Zero. I apologize about the seating mis-step and the service mistake. We would love to connect about discussing your experience in further detail. Please let us know if we can chat briefly. Thank you! Great food. Air conditioner was on strong but waiter reseated us out of the breeze without issue. Great food via recommendations made by a very attentive, engaging waiter made this a wonderful experience. Thank you for choosing Double Zero Tomas! Double Zero exceeded all expectations. We made a last minute reservation and expected a possible wait. At the restaurant we were promptly greeted and seated. Our server Corrie was wonderful! She answered our questions and made some suggestions that were spot on from wine, to main dishes, and dessert. Our pasta dishes were cooked to perfection and oh so tasty! Don’t miss dessert, it’s an absolute must! Thank you SherriBT! We will certainly pass the feedback along to Corrie and thrilled to know you enjoyed our pasta and the dessert course. We hope to welcome you back soon. Had a good meal. Wait staff was great. I would come back. Thank you dining with us at Double Zero! Double Zero is a cavernous restaurant where each section is separated by either glass walls or tapestry. It can become noisy when full, but I was still able to carry on a conversation. The food was thoughtfully prepared and I recommend the pork belly starter. The pasta dishes were as advertised...tasty and spicy in some cases. The service average, but I like the fact that the waitstaff did not badger me with questions about how I liked the food. Overall, I recommend visiting Double Zero. Ramone - thank you for dining at Double Zero and we are happy to know you enjoyed your experience. We would love the opportunity to serve you again. Warm greeting upon arrival, delightful service (from Kelly) with excellent recommendations and responsiveness, delish food- the scallops appetizer was great, along with the breaded balls of something (sausage?) as rec’ed by Kelly. The artichoke pizza and fish of the day - all tasty and attractive. The birthday dessert looked great but I didn’t get to taste it. Highly recommend it and will return! CayD, Thank you for sharing this thoughtful feedback about your experience at Double Zero. It's wonderful to read that Kelly offered such exceptional service -we will pass this note along and hope to see you soon. Take care! Great experience tonight! Can’t wait for the next visit! We are excited to welcome you back! Excellent service - unfortunately the pasta dish I chose was rather dry. However, the $15 special for pasta and a glass of wine was great - I would just choose a different one next time. Margaret - thank you for dining with us on Super Bowl Sunday! We appreciate the feedback on your pasta dish and hope we have the chance to serve you again in the future to correct this misstep! First time at this restaurant and we were pleasantly surprised with the whole experience. Our waiter was excellent and the food and drinks were outstanding!! Thank you Abby! We hope this won't be your last visit! We always enjoy Double Zero. In addition to the pizza and mains, they have lots of great shareable small plates and a good wine selection. The latter is what attracts us. The service is always friendly, and Finn was particularly attentive and pleasant. We enjoyed everything - the wine, the farro plate, the bagna cauda cauliflower, the scallops and the arancini. Luv2Dine - thank you for the high compliments! We enjoy the opportunity to serve you! Wonderful food and service!! Can’t wait to go back. We love Double Zero! Everything on the menu is delicious (especially love the orecchiette and the tagliatelle pastas, the diavola pizza, and farro appetizer). The service is excellent. We were shocked that, after just a couple of visits, so many of the staff recognize us and greet us warmly. Sometimes they even remember what wine we ordered. 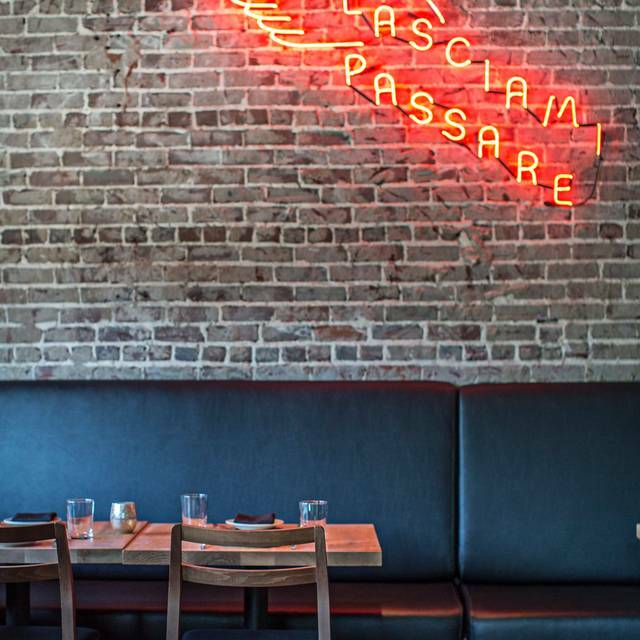 This has become one of our favorite "go-to" spots for a Friday date night. Wonderful addition to the neighborhood. 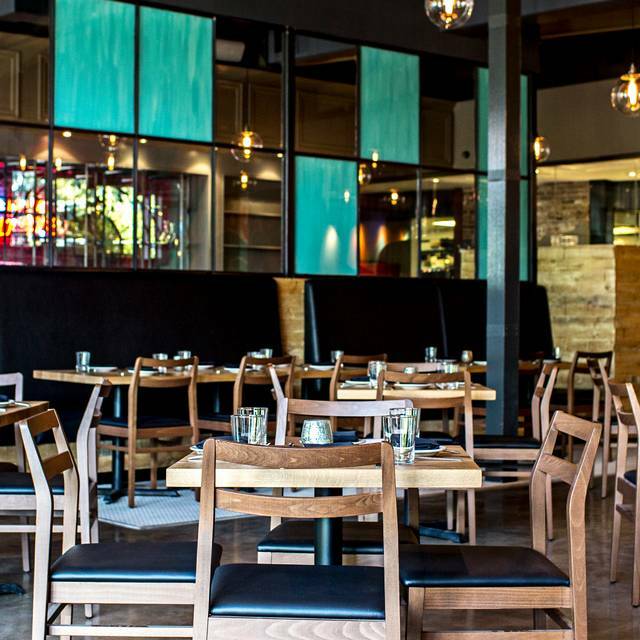 DiningDuo - thank you for considering us in your regular date night rotation! We love to be a part of this tradition and look forward to seeing you next time! Outstanding meal! Perfectly prepared steak, pizza, scallops, focaccia and arancini! A great wine selection by the glass all topped off by superb service from Corrie! Highly recommend!! AIR1 - thank you for this thoughtful feedback. We are thrilled to know you enjoyed the experience.